In his latest tour de force, Allen Smith takes on the challenges of life from his own gritty perspective. Everything from surviving on-line dating to enduring his first sigmoidoscopy and advancing age. Watching Grandma Circle the Drain is a collection of Smith's most entertaining work from his previously published columns. In addition to his own experience with struggling to learn Spanish and annihilating the game of golf, he gives the reader an inside look at some of the things they've never wondered about, like managing persistent telemarketers, what it's like to qualify as a sperm donor and some of the most unusual ways to make a living without a college degree. In part two, Smith takes aim at news stories by attacking issues like home schooling, women competing in the Tour de France, dozing air traffic controllers and the first person to marry (and divorce) himself. Watching Grandma Circle the Drain is a bite-sized, entertaining look at the way we complicate our lives. Once you read it, you'll never look at life the same way again. Laughter is infectious. After reading Watching Grandma Circle the Drain by Allen Smith readers will definitely be full of laughter. This collection of short stories will place readers in the front seat of a comedy show with full excess. The first section of stories are about dating and becoming an adult. The second section of stories, which are in news format tell about different topics of everyday interests. My favorite story is “Television Shows that Didn’t Make the Fall Lineup,” which gives descriptions of different shows that networks will not be using for their fall lineup. 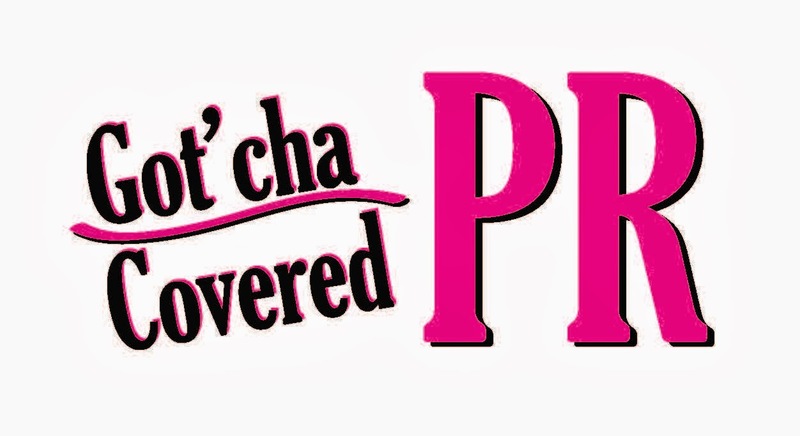 The descriptions are full of unbelievable humor and would actually make good shows. Watching Grandma Circle the Drain is an entertaining book about everyday thoughts and life told in the point of view of a comedian. It is funny, full of energy, and will have readers laughing to the point of tears. I enjoyed this book but I am unclear why the author chose this title. I do recommend it to others. It seems there are more and more blended families due to single-parent homes. Parents have to be aware of whom they are bringing around their children. 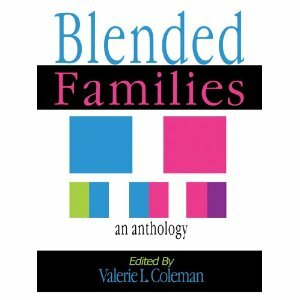 Blended Families by Valerie L. Coleman provides readers with stories about individual’s that have blended family homes and how these families deal with the change. This 28 chaptered book captures the family units at their worse. It also explains how they turn their family units around. Blended Families expresses how God steps in to help these families repair their injury to their homes. This book gives readers guidelines and the tools they need to make their families whole. I have many favorites but I will tell you only about one so as not to spoil the book. “Reconnaissance Mission” is about a stepmother who cannot take anymore of her stepchildren abusive behavior. She turns her problems over to God and he gives her instructions. When she listens to Him her outcome becomes more than she expected. Blended Families is about restoring families through prayer and godly intervention. 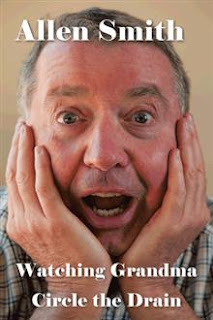 It is true that this book will minister to readers who are in need of help and are uncertain of their family’s future. The author put together a wonderful anthology of writers wanting to help others. I recommend Blended Families to others. What would you do for five million dollars? Adam and Evia Langston have lived in their own little garden of Eden since the two married at the age of seventeen. Working their way up from the humblest of beginnings, the Langstons have thrived beyond anything they could have ever imagined. Now they live in the finest home, drive the best cars, and indulge in all the trimmings that signify their massive success. But then the recession hits and rips apart the family’s financial stability. Unable to support their three children and other relatives, Adam and Evia find themselves drowning in financial trouble and teetering on the brink of complete disaster. With nowhere to turn, the Langstons have no idea what to do. Until Shay-Shaunté, Evia’s multimillionaire boss, comes to the Langstons with a five-million-dollar offer that seems so hard to refuse. Will the Langstons make this deal? Or will they recognize that the glitter of five million dollars may be far from gold? The Devil comes in many forms with a mission to make you lose your faith in God. 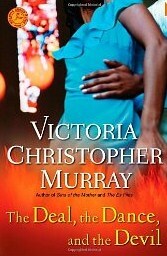 The Langston’s in The Deal, the Dance, and the Devil by Victoria Christopher Murray learn firsthand about the Devil works. Adam and Evia Langston have the perfect marriage and family. Adam an Evia has three beautiful children, successful careers, and lives in an upscale neighborhood. When Adam is laid off from work, everything seems to go downhill. 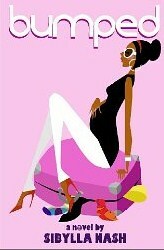 Shay-Shaunte’, owner of Ferrossity is a strict businesswoman always ready to seal a deal. When Shay-Shaunte’ notices Evia’s family struggles she becomes concerned. Shay-Shaunte makes Evia an offer that she is sure she will not pass up. Evia does not realize that Shay-Shaunte’ has a boss as well and one who likes to see results. 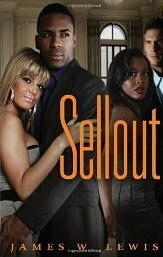 Will Evia take Shay-Shaunte’s the offer? The Deal, the Dance, and the Devil is about being blessed and how it can easily be taken away. It is also about making a deal with the Devil and not realizing until it is too late. It is hard to struggle and most will do whatever it takes to stay in the lifestyle they are accustom to. It really amazes what people will do for money. Readers will be entertained and surprised by the characters in this exciting book. I recommend this book to others. The old saying is true. You never know what's going on in someone else's home. From the outside looking in, Yolanda Clarke appears to have it all. 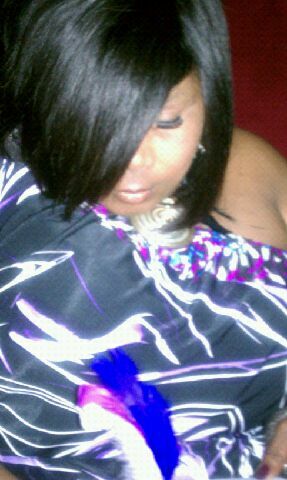 She's a beautiful woman, and her husband, Timothy, is the pastor of BrightStar Tabernacle. They seem to have the perfect life. But, looks are certainly deceiving. Yolanda has become a puppet on a string, totally controlled by Timothy. While everyone at church thinks he walks on water, Yolanda knows the person behind the mask. His constant verbal tirades, physical and emotional abuse has become unbearable. In walks Andre Hunter. He's the type of man that can make any woman forget all her troubles. His chocolate skin, pearly whites, and beautiful smile enthrall Yolanda. She has never entertained the idea of infidelity, but the abuse and lack of intimacy at home makes her adulterous affair justifiable in her mind. Andre gives Yolanda everything she's missing at home- respect, conversation, and passion behind closed doors. But, Andre is hiding secrets of his own. Will Yolanda finally climb from the abyss of despair she's lived in with Timothy and move to a brighter tomorrow with Andre? Or will she forever remain "The Sunday Morning Wife?" It is not healthy to stay in a relationship or marriage that is doing harm to you. What go on behind closed doors are not subject to outsiders opinions. It is acts that are not supposed to be revealed to anyone. 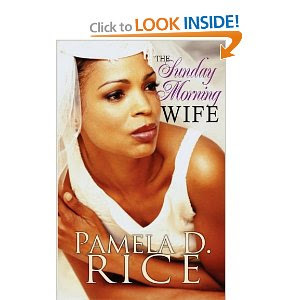 In the Sunday Morning Wife by Pamela D. Rice, readers will be able to judge for themselves if Yolanda Clarke’s environment could have been avoided. Yolanda is married to Timothy Clarke, pastor of Bright Star Tabernacle church. Pastor Clarke is loved by everyone especially his parishioners and even his beloved wife but never judge a books by its cover. Yolanda works as a social worker counseling those in need. When one of her cases hits home Yolanda will learn to take a look into the mirror. She soon realizes that her marriage is in dire needs of help but what do you do when there are distractions leading you in another direction. Andre Hunter is the ideal man for a woman who’s looking to be swept off her feet. Andre is intelligent, caring, and an attentive listener, which causes excitement when he meets Yolanda Clarke. The chemistry between the two is undeniable. Andre believes that they are meant for each other whereas, Yolanda knows that even though being with him feel right that it has to be wrong. The Sunday Morning Wife is domestic violence at its worst. The Devil is always busy and he definitely is in the main characters of this entertaining book. While reading this book I went through different emotions of frustration, anger, and confusion. After finishing the book I did not know whether I wanted to feel sorry for the main character or fuss at her character. I know that it is easier said and done and readers need to put themselves in Yolanda’s shoes. I really enjoyed this book, however, there were some points that I do not believe were carried though especially toward the end of the book. Overall it is an intense book to read and I definitely recommend it to others. Everyone wants commitment in his or her relationship and Debra Hampton is no exception to this rule. In the Forbidden Secrets of the Goody Box by Valerie J. Lewis Coleman and Christopher Reid, readers step into Debra’s world of shattered relationships and unanswered questions. Debra takes the advice of her friend Sherry who introduces her to a relationship guru, Doc Reid. Doc Reid is a well known guru that helps women learn what they want and need in a mate as well as what, they are doing wrong. Doc meets and helps Debra understand why her lunch with men has not change while giving her techniques to help overcome her downfalls. The Forbidden Secrets of the Goody Box is relationship therapy wrapped within 256 pages. This book will help readers understand what to look for in a mate. It had a relatable and clear message, which made it entertaining while keeping my attention until the end. The well-developed characters will leave an impact on readers. I recommend the Forbidden Secrets of the Goody Box to others. 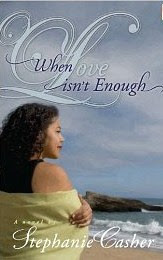 When Love Isn’t Enough by Stephanie Casher, readers are introduced to Samantha Merrick, a college student dealing with a broken heart. A chance meeting at a cliff changes Samantha’s life. Samantha soon realizes that she must make the decision to stay on the rollercoaster or get off. Tony does not know that one day he will look out his window and see his soulmate. Tony has been dealing with a long distance relationship that has run its course. When he meets Samantha, he feels that he has been sent an angel. Will he be ready to make hard decisions regarding his life? Angela is a woman determined to keep her man. Angela feels after giving Tony four years of her life that he does not want to leave their relationship. Angela comes up with a plan and does not care who it may hurt in the process. When Love Isn’t Enough is about love, relationships, and making hard decisions. The author provides readers with relatable characters that give the story life with their realistic issues. This book was interesting to read but did seem to take forever to reach the twist in the story. I do look forward to reading more from this author. I recommend When Love Isn’t Enough to others. This book was provided by the publisher for review purposes. Does every engaged couple talk about living arrangements, bank accounts, and finances? If not then reading, Bride and Groom Money Talk FAQ by Dr. Taffy Wagner could enlighten them on the importance of discussing these topics. Many couples realize too late that talking about finances and other aspects of marriage should have been completed before saying I do. Dr. Wagner presents the questions that couples do not like to approach or do not know how to approach in their relationship. In this, eight chaptered book topics on debt, bills, budgeting, parents, accounts, and in-laws are covered. I appreciate the “Begin Money Talk” section that explains why couples should talk about money talk. It will help couples go into their marriage with opened eyes and minds. 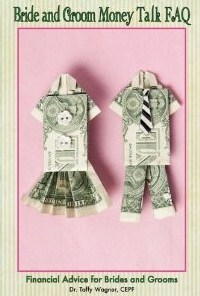 Bride and Groom Money Talk FAQ is about starting a new future with a clean slate. This book covered topics that are difficult to talk about and often avoided. I enjoyed the end of the chapter case studies called Along The Journey because they provide readers examples of each one of the topics and how they affect real individuals. I believe each engaged or non-engaged couple could benefit from this book. I definitely recommend this book to others.